Waltzing Matilda: Summer Shakespeare Chat :: Macbeth :: Link-up! 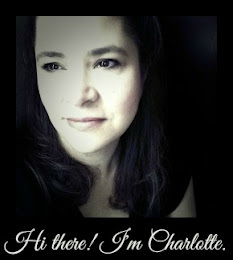 Summer Shakespeare Chat :: Macbeth :: Link-up! What did you think of this version? Did you love it? Did you hate it? Did you catch the Gordon Ramsey line? Hah! That made me laugh out loud so hard I had to go back and watch it again. Be sure to sign up for follow emails in everyone's combox so we can keep the discussion going no matter where it bounces to. Each chat will be open for two weeks if you can't get to viewing right away. I've already told you I don't mind a little experimentation with Shakespeare. I am not a purist. His words are beautiful and his wit excellent and for those reasons, I prefer to hear his poetical language as he wrote it, but I'm willing to make an exception for an adaptation if it is a thrilling exploration of his themes and it tries to stay true to the tone. See, if you take away his language and his themes, all that's left is plot and that's just not enough to anchor the work to the Bard in my book. Shakespeare was forward thinking enough in his writing to not be phased by a little diversion in production. 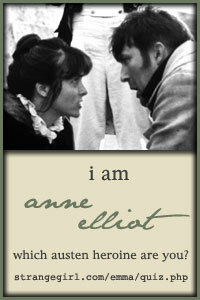 Just think about the strong female characters he wrote at a time when women weren't even allowed to play them on stage! But to rid his plays of their language and their themes… it is most tolerable and not to be endured. 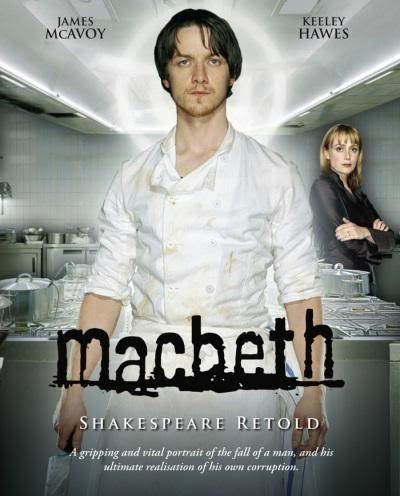 Also, I don't care for blood and gore and I was so pleased that this modern version respected Shakespeare's choice to have Duncan's murder take place offstage instead of turning it into a Wes Craven horror flick (which was my first concern when I heard "Macbeth" and "modernized" in the same sentence). I thought that choice made the blood imagery later in the show even stronger and more meaningful. In fact, I liked most of the choices they made in this version. I've not had any experience in a a Michelin three star restaurant kitchen, but I've seen enough other kitchen shows to know that it's supposed to be a very pressurized atmosphere. I liked that they chose to make the banquet scene a breakfast meeting because it kept the tone of the original but placed it completely in a more accessible and realistic venue. There would be no banquet for the kitchen staff in a restaurant. And the idea of the voice message and video text as a way to have Banquo show up before his ghost actually did was quite clever. James McAvoy is so likable in his performance as Joe Macbeth that it really contributed to the discomfort I felt watching him go so horribly wrong. And Keeley Hawes as his wife, Ella, is inspired. I do not like my Lady Macbeth acting like some kind of bully drunk with power just like Cari doesn't like her Beatrice shrewish. Yes, she can be manipulative but I don't like it when she's portrayed as bloodthirsty. If she was truly a cutthroat villain, I don't think we would have seen her deteriorate so much in the end. So, I thought Hawes' interpretation was a good one and it complemented McAvoy's Macbeth well. There is real chemistry between them and they play the characters very closely connected to each other. I have a gripe with the story about the child they lost though. It seemed to come out of left field. I know the original scene they took that idea from and it's not a scene of motherly affection. So, I'm wondering what their reasoning was in turning this into the story that they did? Any thoughts? Certainly, they wanted to show her cracking up and the constant washing of her hands did that well. What do you think? Did they just seize on this little detail and use it to flesh out her character in a modern setting or was there some deeper meaning that I'm just missing? The bin men as the witches was an awesome choice! Quirky and odd and kind of mystical but definitely in the background, never stealing away the attention. The opening scene at the dump was such a vivid image and a perfect one in contrast to the sterility and institutional feel of the kitchen that came later. There is more that I want to say, but I'll need to watch it again and I just can't psych myself up to do that yet. But I can't wait to read what you all thought! Who's gonna play? UPDATED to add… I just had a really awesome conversation with my big kids in which we discussed another theme of Macbeth that doesn't really make it into version. The whole notion that Kings ruled by Divine Providence; so for Macbeth to kill Duncan is messing with God's Will and perhaps what sends him so far off the deep end. In other words, it's not specifically the act of murder that drives someones mad. Killing a tyrant is OK, in fact, it sets things back to right as we see in Macbeth and also Richard III. The one thing I didn't like was the twinkle in the eye of Malcom at the end of this version. It made me think they were hinting that he had planned it all. Or maybe, that he had had his own encounter with the bin witches. I've never gotten that impression from the play that Malcolm was an opportunist. Rather the opposite. That when he was thrust into this role, his first reaction was to flee. That through the support of Kind Edward and others that he was given the confidence and strength he needed to rule. What did you think of that little scene? Did you get the same feeling?